1.) 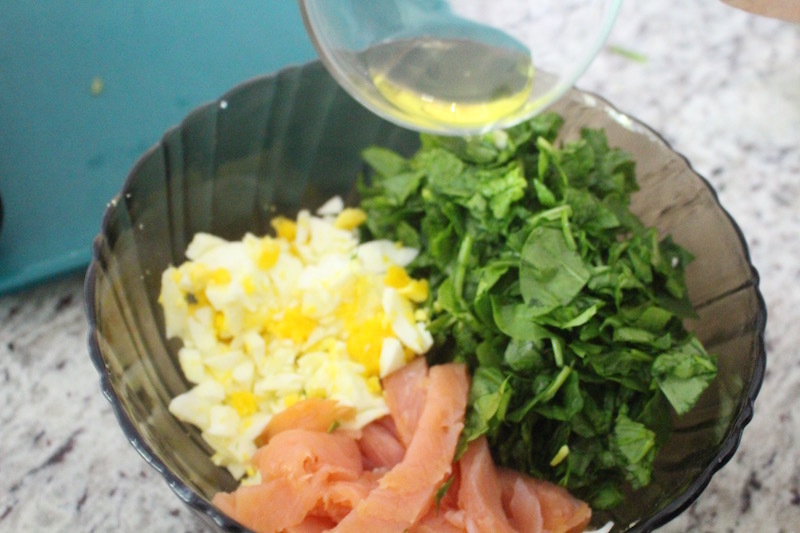 To start peel your eggs and cut them into small cubes, next cut your spinach and salmon. 2.) 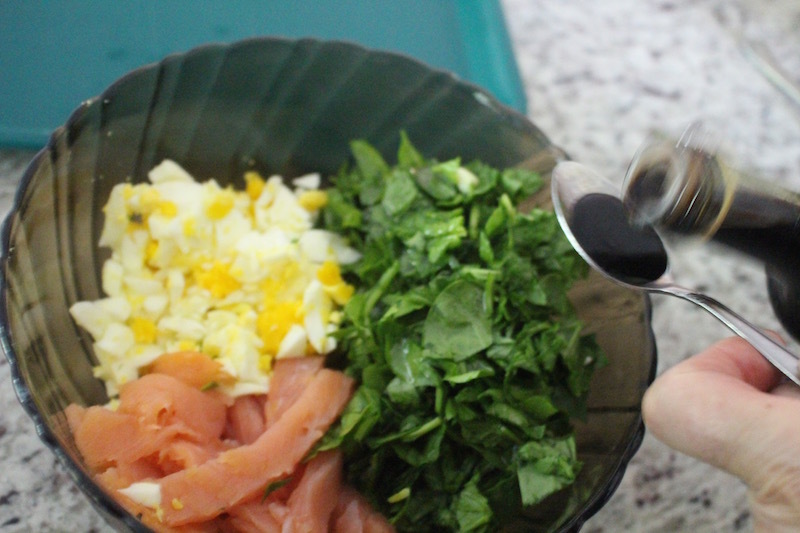 In a large bowl add your eggs, spinach, salmon and olive oil. 3.) 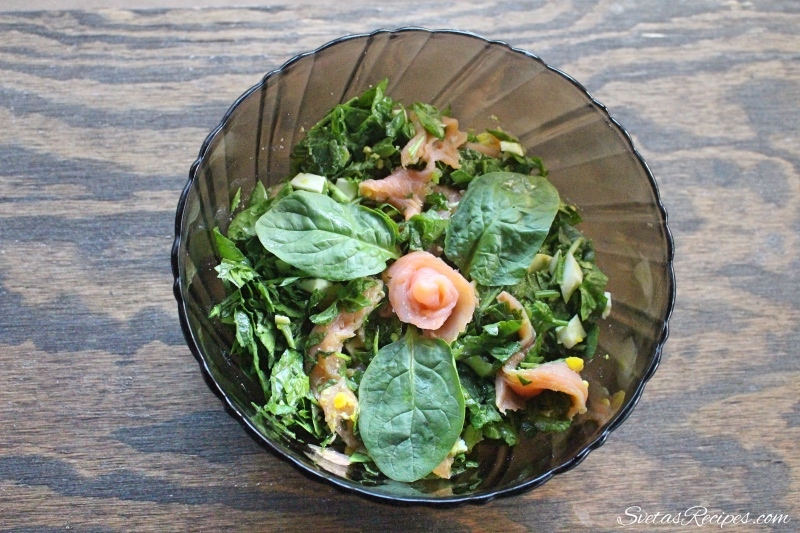 Continuing add your olive garden dressing and mix together well. Place into a serving dish and enjoy! 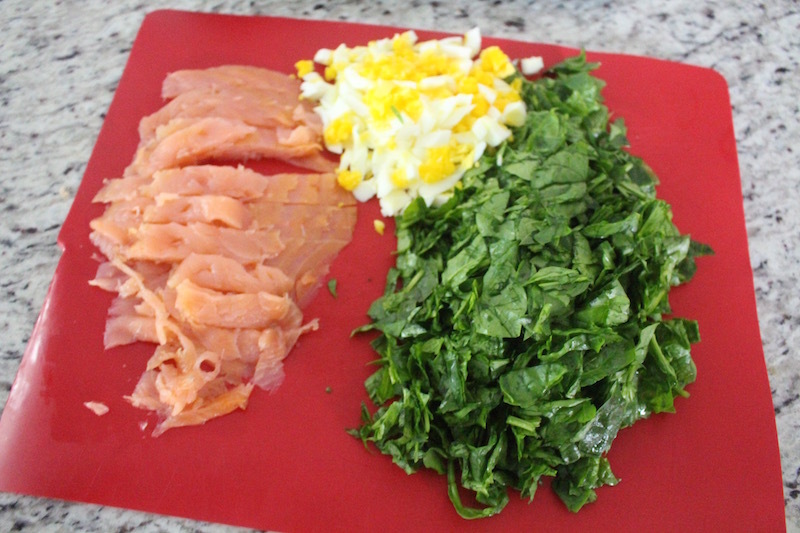 To start peel your eggs and cut them into small cubes, next cut your spinach and salmon. 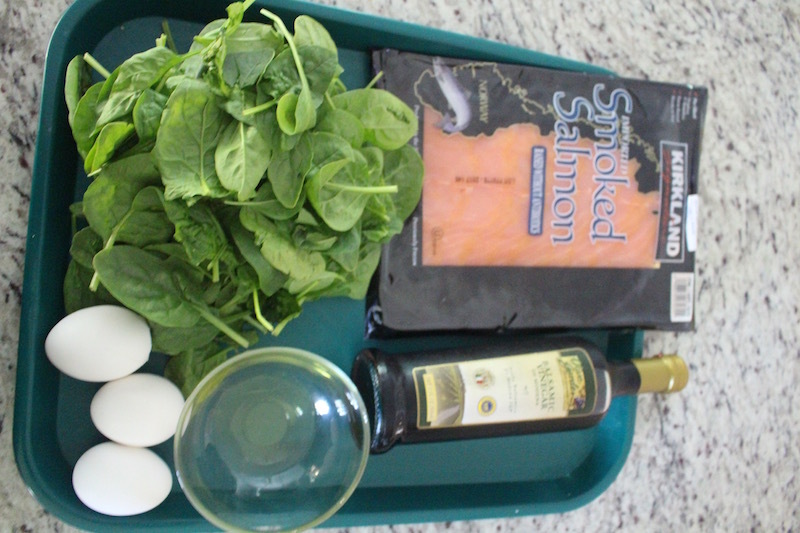 In a large bowl add your eggs, spinach, salmon and olive oil. 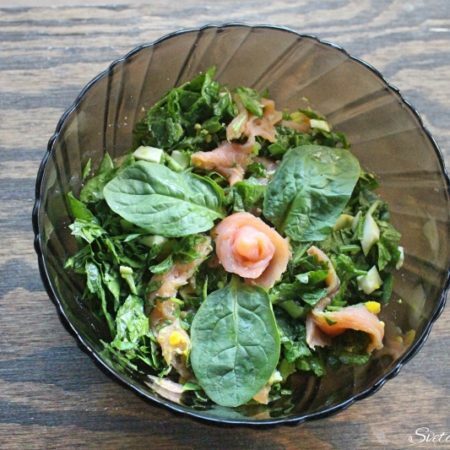 Continuing add your olive garden dressing and mix together well. Place into a serving dish and enjoy!